Sheila Gordon believes in the power of numbers to achieve goals, establish balance, and design dreams. A former bank executive with over 20 years of experience in the finance industry, Sheila decided to follow her passion of helping people by joining the non-profit sector. 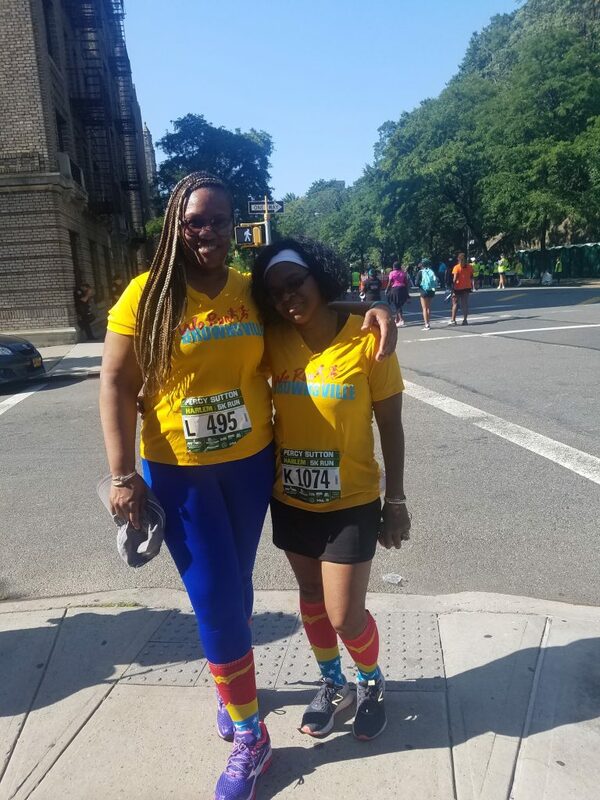 Five years later, she is managing the Rising New York Road Runners Ambassador program, a speech fundamentals and public-speaking training program for kids ages 10-18. For Sheila, every challenge has within it, an opportunity to unleash her unlimited supply of creativity in designing a series of effective solutions. From planning television worthy community baby showers complete with masseuses, a make-up artist and portrait photographer to pamper; to recruiting a chef to prepare a healthy farm-to-table luncheon using vegetables from a local community garden to showcase eating good in the ‘hood, Sheila firmly believes that SEEING is a pre-requisite for BEING. We Run Brownsville combines her efforts to move people from where they are to where they would like to be with her love of running. For her, It is the best of both worlds. The only accomplishment greater than receiving her BS in Business Management with her cheering family in the audience was dropping her daughter off at college last fall. Dionne Grayman facilitates paradigm shifts: whether providing safe space for black and brown mothers to create networks of internal supports to effectively address external challenges or ensuring that marginalized communities have access to democratic deliberative processes, her work is grounded in amplifying voice. As an educator, Dionne has worked with a range of young people from incarcerated youth to students who attend specialized high schools. In her current role, she provides training and coaching support to administrators and staff in the implementation of restorative practices in New York City schools. A second generation Brownsvillian, she credits her grandparents for instilling in her the importance of roots and her parents for insisting that being a smart black girl with glasses was an act of revolution. Dionne holds a dual BA in English and Journalism as well as an MS in Special Education. A recipient of a few awards, she is most proud of being the mother of her three amazing children-Sean, Silas and Sonia.